Just how many calories should you be consuming daily? If you’ve done any reading regarding health, fitness, and weight management, one term that you’ve without a doubt come across before is the term ‘calories’. But what is a calorie? When you say the word ‘calorie’ to people, you’ll tend to get a variety of different responses. Some people will state they immediately think of restriction, often as was the case when they used a poor diet plan. Others think about the gym. Their mind goes immediately to the process of burning calories. Some individuals just have a vague idea it has something to do with food, but they aren’t quite sure what exactly a calorie is. In the following article, we’re going to clear up all this confusion so that after you are finished reading, you have a crystal clear idea of exactly what calories are. It’s critical to know because calories come into play heavily when speaking about health and fitness. So let’s get started and go over what exactly a calorie is. A calorie, simply put, is a unit used to measure energy. It represents the amount of energy needed to raise the temperature of one gram of water by 1 degree Celsius. You may have also heard of the term joules and kilojoules (kj) before, which is another term for calories and kilo-calories. There are 4.1868 joules in one calorie, or 4186 kj’s in one kcal. While we typically used calories to refer to the amount of energy in food, you can also use it to refer to anything else that contains energy, such as petrol for instance. 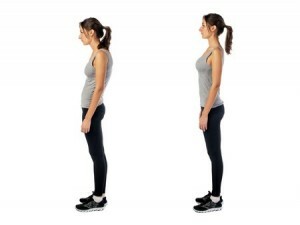 If you ever notice when you are increasing your activity level (through exercise), your body begins to get warmer, this is because you are releasing these calories (burning energy), which is raising your core body temperature, just as they would raise the temperature of water as mentioned above. Calories on their own are not good or bad – it’s what you do with calories that matters. One thing to note is the difference between calories and kilocalories. Calories are a very small unit of measurement, which is typically used in chemistry settings. Kilocalories or ‘large calories’ as they are often called is the term that you are using whenever you say calories with relation to food or exercise. You might notice that when looking at a package label it says ‘kcal’ and not ‘cal’ and this is why. We just drop the ‘kilo’ phrase in everyday language and go with calorie instead, despite the fact that each calorie we speak of is actually 1000 calories. While this isn’t important to know for practical applications, you do want to have your definition straight. Which now brings us to the age-old question you might be wondering right now – how many calories should you consume? What should your calorie intake be? This is a very complex question that requires an equally complex answer. While some people think that women should just estimate for around 2000 calories a day and men around 2500 calories, this is far from the truth. While general guidelines are often put out to help people with their meal planning, if you really want to ensure that you see optimal success, you want to figure out your specific needs. What Is My Calorie Burn? 3. Your digestive energy burn (also known as the ‘thermic effect of food’), which represents the number of calories your body utilises simply breaking down and digesting the foods that you consume. Together, all three of these factors make up your total daily calorie expenditure. Once you know this, then you know how many calories you need to consume to maintain your body weight. Which direction your body weight moves will be in direct relation to how many calories you take in versus how many calories you expend all day long. There are approximately 1500 calories in one kilo of body weight, so if you want to lose one kilo of body weight, you need to burn off roughly 1500 calories more than you consume (over the course of time). Whereas if you eat 1500 calories more than you burn, you could see a resulting weight gain of 1 kilo of body weight. Now, apart from using a calorie chamber, which is a box you would sit in all day long as your energy output is measured, you can only estimate your total calorie burn. So while we can never be 100% accurate in your total calorie requirements, we can get a very good idea. Remember, your calorie requirement (otherwise known as your calorie burn) will fluctuate on a daily basis. Each and every move you make throughout the day burns calories, so because you are not doing the exact same thing every single day, this means your total daily calorie expenditure will also vary. Therefore, approximations are best. There are a number of formulas out there that can help you establish your resting metabolic rate, as noted above. Once you have this number, you can add to that your activity calorie burn as well as your digestive calorie burn. The best equations will take into account your lean body mass. Your lean body tissue (muscles, bones, and organs) are highly metabolically active tissues, meaning they burn a higher amount of energy each and every day to just sustain themselves. In contrast, fat mass tissue has a very low daily calorie burn. It pretty much sits there, not doing much or requiring much to maintain itself. This is why men who are quite muscular typically notice they can eat much more food without gaining weight. It’s because with all that muscle, they are rapidly burning up calories all day long, burning off whatever they eat. Likewise, this is also why strength training is encouraged, especially for women. If you don’t have much muscle mass to start with (as most women don’t), your daily calorie burn will be much lower as a result, so weight maintenance can be that much harder. 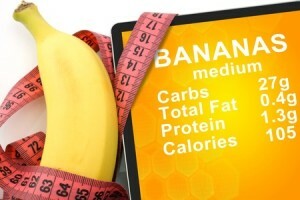 So the best calorie estimation formulas take into account your lean body mass. In order to use this however, you will need to know your body fat percentage, which can be taken using a DEXA scan (at your local hospital) or using a set of skin calipers to estimate body fat. Here is the formula to use to figure out your basal (resting) metabolic rate. *Note that basal and resting metabolic rate can be used interchangeably. Now, if you don’t have access to have your body fat test taken, then you’ll instead simply want to use a standard equation that takes into account average body fat. Keep in mind this formula will have a tendency to underestimate your calorie burn if you are lean with a lot of muscle and will have a tendency to overestimate your calorie burn if you have quite a bit of body fat on your frame. As men and women have different levels of essential fat (fat inside the body lining the organs), they need two separate equations for the best possible approximation. Here are the equations to use. There are other metabolic formula’s available that you can use as well, however they all will provide roughly the same estimation. Now, once you have this number, you aren’t quite done yet. You’ve just figured out how many calories you burn to stay alive. If you sat in bed and did nothing each day, this would be your calorie burn. Since you do much more than that, we need to keep going. Now you need to account for your activity factor. This means how active you are on a daily basis. Because of the fact each day is different, either take your average activity level, or if you have some days you are much more active than others, figure out the two different scenarios so you can get a better idea of your burn for each day. Once you have multiplied your BMR by this number, you finally need to account for the calories you burn during digestion, or the TEF. For those who are eating a mixed diet, you will have a TEF factor of around 10%, so you can multiply the number you have right now by 0.10. You now have your total daily calorie expenditure figured out. From here, you can now assess which direction you want your bodyweight to move and adjust the formula accordingly. If you want to maintain your body weight, you should eat about this number of calories each day from your diet plan. If you want to lose weight, you need to eat fewer calories. If you want to gain, you need to eat more. Remember that there are approximately 1500 calories in one kilo of body weight, so to lose one kilo per week for instance, you should subtract 214 calories per day from your target intake, leaving you with a deficit of 1500 calories for the week. Before moving on, you should also note that you can now purchase calorie estimator devices that you clip onto your body and will track all your daily movements, giving you an estimated calorie burn. These are very popular in the fitness market and while they will never be 100% accurate either, they can be a great way to assess your total daily calorie burn as well. Consider using one if you want to get a daily assessment of how many calories you are burning. 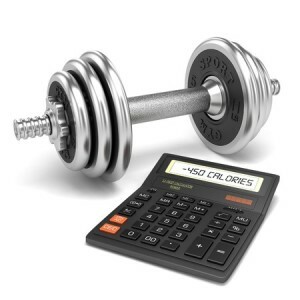 Looking For A Calorie Calculator? Now, let’s say you don’t want to go through all this math. You haven’t done maths since school and aren’t about to start now. Not to worry, there are many calorie calculator websites and applications out there that you can use. When looking for these, just make sure that the calculator takes into account your age, weight, height, and activity level. If it doesn’t, you can trust that it won’t be all that accurate. 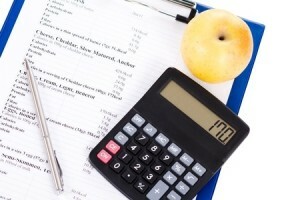 Once you know your target daily calorie intake, it now comes time to counting those calories. When most people hear the term ‘calorie counting’, they let out a large groan because it’s something that they just don’t want to do. Not to worry however, calorie counting really is not nearly as bad as you might think. With the advent of the Internet and mobile devices, it’s become easier than ever to approximate how many calories you are consuming each day through the foods you take in. You’ll simply type in the food you are eating and the amount, select the closest item description and then you will find out how many calories that food contains. Many of these sites allow you to create a profile for yourself so it will keep track of exactly how many calories you have consumed all throughout the day up to date. One very important thing to keep in mind when counting calories is that you need to be accurate with measuring your serving sizes. If you are inaccurate, your total count will be off and you won’t see the results that you are looking for. One of the biggest mistakes many people make when going about their diet plan is underestimating their total calorie intake, which leads to a complete lack of progress. Get a food scale and some measuring cups and measure out your food as often as possible. Now, let’s say you want to know how many calories you’ve just burned during your workout. How can you go about doing that? Again, this is quite challenging because unless you have scientific machines to assess the total amount of energy your body has released as heat, you won’t be able to know for certain how many calories you burn. In addition to that, many forms of exercise (such as intense sprint training or weight lifting) will actually cause you to burn more calories after the workout is over by increasing your resting metabolic rate. So in essence, they actually have a total calorie burn that’s higher than you may estimate. Nevertheless, you can get an approximate estimation of your total calories burned during exercise by using websites or applications that have already figured out a pre-determined formula for assessing calorie burn. Note that these should be taken lightly. Don’t take them to be all that accurate as your calorie burn will vary considerably based on how hard you are working (the intensity you perform the activity at) as well as your total body weight. Are All Food Calories Created Equal? Another question that you may be wondering about is the question of whether all calories are created equal. 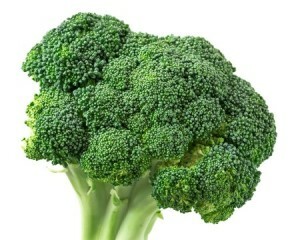 If you eat 400 calories of cake, does it make a difference compared to eating 400 calories of chicken and broccoli? Many people who start up on diet plans subscribe to the notion that as long as your calories are where they need to be, the particular foods you eat won’t make that big of a difference as far as weight loss is concerned. Here’s the important part to know though. While your total calorie intake is going to be what determines which direction your body weight goes, it’s the type of calories that you consume that determines whether or not you lose fat mass or lean muscle mass, as well as what your overall health status is. Specifically speaking, your risk factor for disease, your heart health, your brain health, your bone health, and so forth. This is because the foods you eat containing calories vary considerably in the total nutrients they contain. So going back to our example, that cake containing 400 calories is made primarily with sugar, flour, and butter. Sadly, these ingredients don’t have all that much by way of nutrients to offer your body. They’re what we call ‘nutrient devoid’ calories. Calories without nutrition. The chicken breast and broccoli on the other hand, are loaded with plenty of vitamins and minerals that your body needs to function as optimally as possible. The chicken contains vitamin B3, protein, selenium, vitamin B6, phosphorus, and vitamin B12. The broccoli contains vitamin K, vitamin C, chromium, folate, pantothenic acid, vitamin E, vitamin B6, phosphorus, manganese, vitamin B2, vitamin A, potassium, copper, vitamin B1, magnesium, omega-3 fatty acids, zinc, iron, calcium, selenium, and vitamin B3. As you can see, quite the line-up. It should be clear which food is going to be superior as far as your health is concerned. And this isn’t the only reason it matters what you eat. Certain foods also have a different thermic effect of food. Remember how this was part of the equation of how many total calories you burned off each day? Well if you choose your food intake wisely, you can increase this number slightly. For instance, for every 100 calories of protein rich foods you eat, you’ll burn off around 20-25 of those calories simply breaking them down through digestive processes. For every 100 calories of carbohydrates and dietary fats you eat, you’ll burn off just 4 and 2 calories respectively. Now this doesn’t mean you should only eat calories that come from protein foods as you do need healthy fats and healthy carbohydrate choices in your meal plan too, but by making sure you eat enough protein, you can be sure that you are maximizing this element of your total daily calorie burn. In addition to this, dietary fibre also acts in much the same way. As dietary fibre passes through the body, it’s not fully absorbed and as such, you don’t take in as many total calories per gram. While a normal gram of carbohydrate contains four calories, one gram of fibre carbohydrates contains just two. So as you can see, if weight loss is your goal, eating a diet that’s higher in protein and fibre will definitely help get you there faster. In addition, different foods will also have a different impact on your appetite levels, which in turn may influence your overall calorie consumption. For instance, if you eat foods high in simple carbohydrate and sugar calories, you’ll find that you experience a fast spike in blood glucose levels, followed by a crash, leaving you ravenous to eat more food once again. On the other hand, if you consume a meal containing protein, healthy fats and dietary fibre, you should be full for hours, making it far easier to sustain a proper total calorie intake. This is why planning your diet is about more than just counting calories, but making sure those calories count. Another term that relates to calories is volumetrics, which is just a fancy way of discussing calorie density. This refers to how many calories are found in one gram of food. This can vary considerably and have a large effect on your weight loss progress. For instance, let’s compare the calories found in an apple versus the calories found in raisins. If you eat 100 grams of apple, raw, you will consume 52 calories in the process. On the other hand, if you eat 100 grams of raisins, you will consume 299 calories instead. Which is better for maintaining or losing body weight? Clearly the apple is better. This is because the raisins are a very concentrated source of calories and don’t contain much water. Apples on the other hand, do contain a high amount of water, therefore take up more volume. Since part of your hunger level is based on the level of food volume in the stomach (the degree in which your stomach walls are experiencing stretch due to the food inside), this can really influence your overall hunger level throughout the day. By choosing foods that are high in volume but contain fewer calories, you can manage hunger far better while on a reduced calorie diet plan. Note that some of these foods are not unhealthy – nuts and salmon for instance are a very healthy part of your diet, but per volume of food eaten, they will contain more calories, so be much more careful with your serving size. Another thing to keep in mind is that the main macro-nutrients you take in will also vary in calorie content. Macro-nutrients refer to proteins, carbohydrates, and dietary fats, each of which contain calories. There are four calories per gram of carbohydrates and protein, while there are nine calories per gram for dietary fats. For this reason, you do need to be much more careful how much total fat you eat each day. It adds up quickly, so be sure that you get those measuring cups and food scale out. This again doesn’t mean fat is unhealthy or bad in any way, but you do need to be much more careful when consuming it. Alcohol, while not considered a ‘nutrient’ of any kind, contains 7 calories per gram, so as you can see, is a higher calorie containing substance as well. Alcohol, just like sugar, also doesn’t contain any actual nutrients, so is considered a nutritionally devoid calorie. For this reason, it’s another one that you will want to consider avoiding as much as possible. Finally, one last thing that needs to be discussed with regards to calories is the factors that can influence your daily calorie burn. While the most obvious influence over how many calories you burn up on a day to day basis is the amount of activity you do and we’ve already noted that total amount of lean muscle mass is also important, that isn’t the only thing to be concerned about. There are other factors that will cause your body to burn more or fewer calories than you otherwise would. First, very low calorie diets will cause this effect. If you start reducing your calorie intake too low, your resting metabolic rate will begin to slow down, making progress seem slow if not non-existent. So while a lower calorie diet is good for weight loss, an incredibly low calorie diet is not a wise move. Overall, women should not be consuming lower than 1100-1200 calories per day and men should not be consuming fewer than 1500-1600 calories per day. This is the very low end. Most people will be able to eat more than this and still see healthy rates of fat loss. The second factor that can influence your daily calorie burn is sleep. Many people overlook the influence that sleep has on total expenditure, but it’s quite high. If you aren’t sleeping enough at night, your metabolic rate will also slow down, meaning you don’t burn as many calories as you think you do during the day. Getting enough sleep is important because in addition to reducing your calorie burn, lack of sleep also increases your hunger level, making it harder to stick with your diet plan. Your injury status can also influence your calorie burn. Those individuals who are burned have very high calorie burn levels as their body is working overtime to repair the damaged tissue. Now of course this isn’t’ to recommend you go burn yourself or get injured on purpose, but it’s important to note that if you are injured in any way, you may want to ensure you are eating at least at maintenance calorie intake to provide the fuel for the recovery to take place. Those who are dieting and become injured will often notice they are much slower to heal because of the lack of total energy. Finally, the last factor that can really influence your daily calorie burn we already mentioned above and is the type of exercise you perform. If you are involved in any sort of high intensity exercise training (anaerobic training), you’ll experience something referred to as EPOC, which stands for Excess Post Exercise Oxygen Consumption. What this basically means is that because that exercise was so intense and you were unable to keep up with meeting your oxygen intake demands during the exercise itself, your body will keep burning calories at an elevated rate as it returns all systems to homeostasis. Sometimes, this can continue for up to 48 hours post workout session. In other words, you get a large boost to your fat burning even when you aren’t exercising. This is a big reason why so many people are focusing heavily on these forms of very intense training when trying to achieve optimal fat loss results. As an added side benefit, these very intense forms of training are also going to offer you the best way to improve your fitness level as well, so it’s really a win-win effect. By taking these factors into account, you can do your very best to ensure that you are maximising your total daily calorie burn and seeing the best weight loss results possible. So where do you go from here? In order to use the concept of calories accurately in your own lifestyle and approach, complete the following steps. 2. Determine your total daily calorie intake target based on whether you want to maintain, lose, or gain body weight. 3. Begin counting the calories in your food to ensure that you are meeting your total daily intake calorie target. 5. Estimate your total calorie burn during exercise (if desired) by consulting one of the resources online or by purchasing a personal fitness tracker (such as a FitBit). 6. Be sure to get enough sleep at night and consider increasing the intensity of your exercise sessions in order to maximise your total daily calorie burn. 7. If your goal is to gain weight, do the opposite of many of these steps listed here – focus on eating calorie dense foods and add more calories to your total daily target intake rather than subtracting calories away. If you are following these steps, you can be sure that you are making use of the concept of calories correctly. Understanding calories and how to use them as you go about your health and fitness plan will go a long way towards ensuring that you see optimal success. Calories are not something to fear; they are something that is needed to sustain life and will be taken in on a daily basis for as long as you live. Learning how to successfully manage your calories, choose healthy calories, and evaluate your total calorie intake against your calorie expenditure will be critical to life-long weight management and optimal health. Remember that there are many websites, programs, and applications out there that are all designed to help you with utilising calories correctly, so be sure that you take advantage of these resources to make you life that much easier.